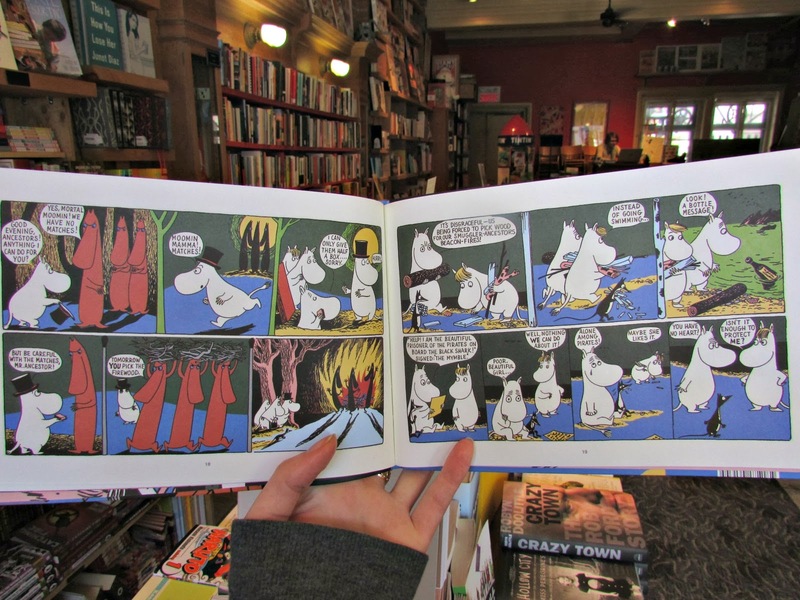 211 Bernard: Two new Moomin books out this week! Two new Moomin books out this week! We just received the two new latest installments in D+Q's series of new editions of classic Moomin stories: Moomin and the Golden Tail, and Moomin's Desert Island! 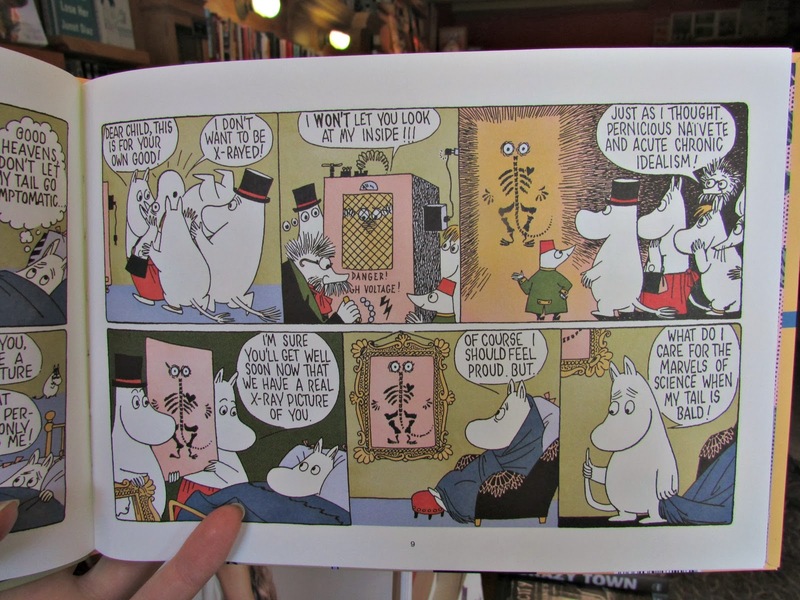 Jansson's gorgeous comics have been reworked in full color, with a kid-proof but kid-friendly size, price, and format. 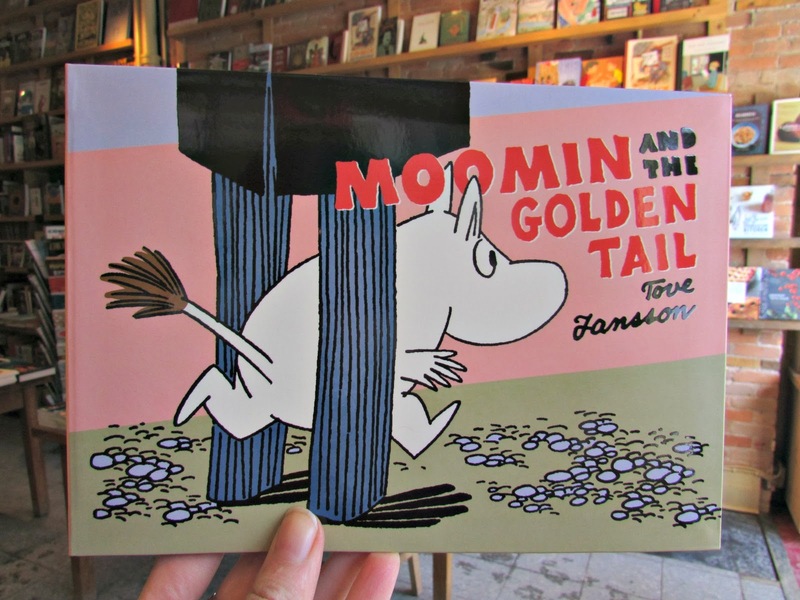 In Moomin and the Golden Tail, we find Moomin feeling insecure over his tail, which appears to be balding. Worried that the Snorkmaiden's affections might be swayed by his lacklustre tail, he seeks medical intervention. When that fails, Moominmamma concocts him a magic potion, turning his tail to solid gold, and inadvertently launching him into the realm of celebrity! But fame isn't all it's cracked up to be, and Moomin's golden tail soon becomes more trouble than it's worth. Here we get a rare glimpse of Moomin's insides, and discover that Moomin is more concerned with his bald tail than with the wonders of x-ray technology. In Moomin's Desert Island, the Moomin family head out for a picnic, only to become stranded on a desert island when their helicopter crashes. Never ones to waste time lamenting their misfortune, the ever-resourceful Moomins get on with exploring the island and find all kinds of exciting things: a pirate ship, the Mymble, and even their ancestors (who prove to be quite a difficult lot). Island life is full of adventure, but how will the castaways get home? 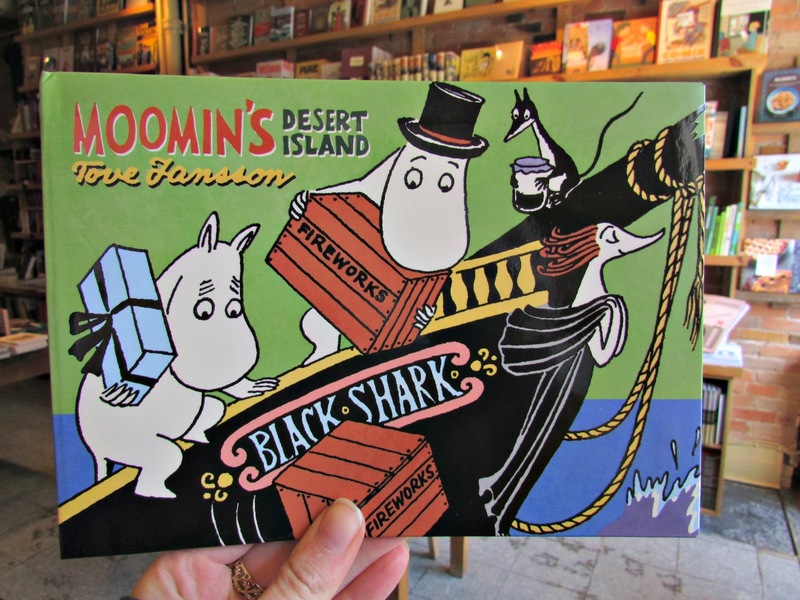 Here we witness the troublesome ancestors forcing the Moomins to pick firewood for them, and also Snorkmaiden getting a little jealous when Moomin worries over the pirate captive, Mymble. Both of these new books are a wonderful additions to D+Q's roster of Moomin comics. You can pick up them up at the store and see for yourself!